Thanks for a fun first season of STELLAR MYSTIQUE! We'll be back with all new performances in season 2 soon. Sign up to get first dibs on tickets as soon as they're available! Want to know when new shows are coming? 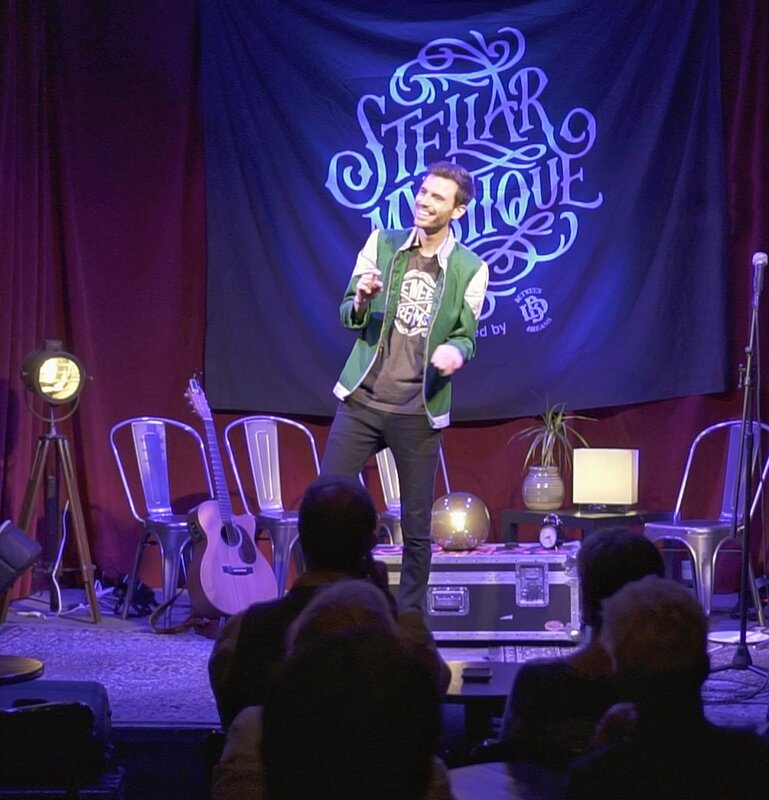 STELLAR MYSTIQUE is a new live theater experience that blends a high energy circus variety show with a podcast style chat. As an audience member, you'll be amazed by incredible performances then get to know the performers so that you leave with motivation and inspiration to make something awesome in your own life. We all have that thing we keep dreaming about, thinking about, telling our friends about, but there's something that is holding us back and keeping us from starting. You'll hear stories from people who overcame those exact feelings and hurdles and you'll be ready to take that first step and make it happen in your own life. If you have questions or need special accommodations, please send a message directly to Chris using this form and we'll get back to you.